You spend a lot of money on your camera and equipment. So, you need to protect that investment. A good camera bag is an essential item. It provides housing, protection and security for your camera when shooting. It also helps organise other equipment you carry. What weight can you carry? What weight do you want for this trip? How heavy is the bag? What other equipment do you need for a specific trip; what sizes and shapes are your equipment and camera? What shape are you? You might need to try out a few bags before you buy. Not all bags are suitable for all body shapes. Out and about with the bear minimum? Just carrying an extra lens, sandwiches, and a few bits and pieces? Perhaps the best bag for you is a shoulder bag. They are useful for easy access to your equipment. By simply swivelling the bag around you can take out what you need. Beware, with small bags you will not have much flexibility. So be sure to buy a bag that suits the size of camera that you have and the lens(es) you need. People often buy the wrong bag because they did not think about what they normally carry. A good shoulder bag saves time and trouble – if you are organised. They are great for a day out, the occasional shot, or to keep a low profile so you are not seen with loads of expensive equipment. To be comfortable get one with wide, padded straps. If planning to walk distances make sure that the bag has a padded back. There is nothing worse than a sore hip from a heavy camera banging against you all day. To have the ability to take the odd additional equipment check the bag has fittings to add extras. Look at the ranges provided by Lowepro, Billingham, Kata and the ‘Messenger’ range from Manfrotto. 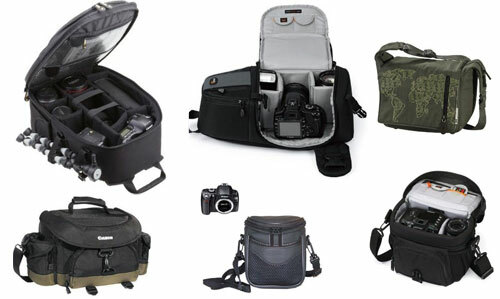 The Tamrac ‘Digital SLR Bags’ range is pretty comprehensive too. For rugged activities a full back pack is useful. These are built to last and house a lot of equipment. Check for a range of compartments for different types of equipment. You should be able to change configuration so you can fit specific items in place. A flexible bag adapts to your needs for different types of trip. Backpacks should be robust, light, flexible and padded. Check for accessory clips/adaptors to change its use and add-on extra units. Make sure they have a waterproof cover to put over them (usually tucked away in a pocket underneath). Not all backpacks work with all body shapes. Look carefully and make sure you are comfortable. Curvy body plan? Make sure the waist belt will go all the way around. Some are cut a bit short! Waist belts are essential for distance walks. It pulls the pack to your back giving support. It is used to take the weight off your shoulders onto your hips. Comfortable fitting is essential. Backpacks are great for lots of gear. Not so good for access. You have to take it off to get access. No good in the rush hour trains! Think carefully about using it. 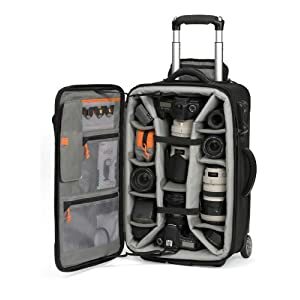 Good backpack style camera bags are available from Lowepro (a big, and flexible range), Tamrac and some flexible units by Kata. 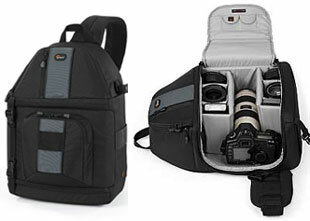 These are great bags for day-to-day shoots. Like backpacks, but they sling over only one shoulder. You can swivle the bag around to the front for equipment when still wearing it. Everything is to hand while shooting. Compact, perhaps not very efficient for packing loads of gear, these bags score on access-on-the-move. The one shown here is made by Lowepro. They make two sizes. Loads of compartments, big capacity and some great accessories are available. Lowepro do clip-on extras able to affix to the bag too. That extends your capacity. 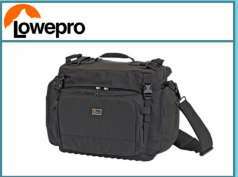 A representative from Lowepro told me this is their best selling range. I live out of mine! 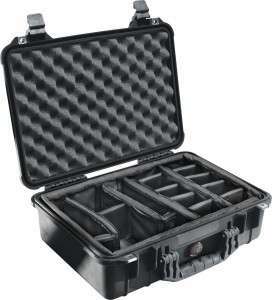 Solid cases are great for knocking about in vehicles, boats aeroplanes, in the field. They are heavy. So don't expect to walk far with them. The choice is wide. The original metallic cases are made of aluminium with stainless steel or moulded ABS corners. Filled with foam you cut your prefered shapes to put in equipment. Robust and lockable these are very strong for aeroplane and field expeditions. But not waterproof. Modern designs are stylish. Have a look at Pottertons Cases , but there are a number of other manufacturers. Modern designs are manufactured from moulded plastic. Expensive to buy, extremely robust, often waterproof - they are just what you need for really tough territory. They come in a range of sizes and designs with different inner designs. So see several types before you decide. For waterproof ones prices are higher. If you need the protection then spend the money. Do not skimp! Robust is the name of the game. This amusing video shows a hard case put through its paces. It's designed for a specific camera, but you can find many other designs of this type. Check out the Pelican website and be sure to look over the blog for upto the minute changes and uses. These are more substantial in size. Roller bags are on wheels. You can carry more but have less weight on your back. While they tend to be robust they are really about carrying more equipment. Beware of bags that exceed hand-carry size on planes and ensure that it is robust enough for your needs. If necessary some of the smaller ones can be changed into a backpack. Inside the layouts are diverse. 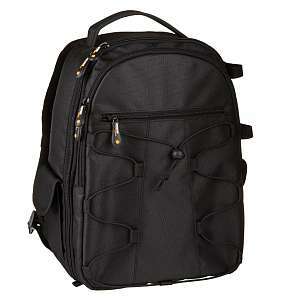 With this size bag make sure you have flexibility to re-configure, especially if you are carrying several cameras. Ensure they have hard sides and plenty of inner padding. Accessory clips and extras are critical for larger pieces like tripods on the outside. Make sure you are happy with the measurements. Take a look Kata and Lowepro for a choice of rolling cases. Hard cases made of aluminium are ideal for airline travel or long-term storage/protection in a range of sizes from attaché case to large trunk-types. Pelican are the leading manufacturer. This make of bag/box is very popular when transporting camera equipment abroad, and for security purposes. Finally, have a look at the Lowepro website. They show their full range and you can see many of their bags in use. This entry was posted in Equipment, Review and tagged Accessories, Buying equipment. Bookmark the permalink.